Survival is reliant on your ability to take your knowledge and apply it in different situations that demand different skills. 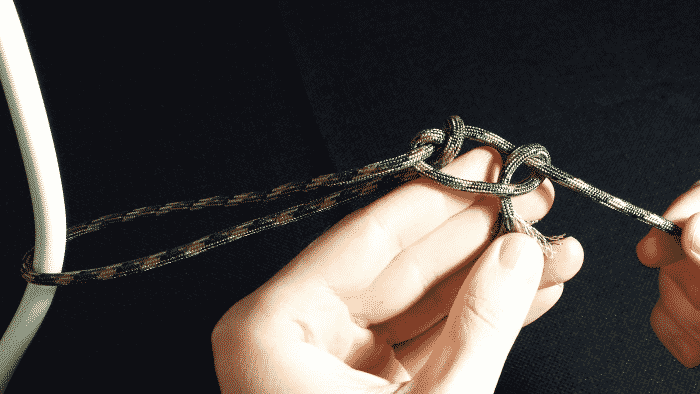 While there are tons of different survival skills We can all agree that knowing how to tie different kinds of knots is essential to surviving any disaster. 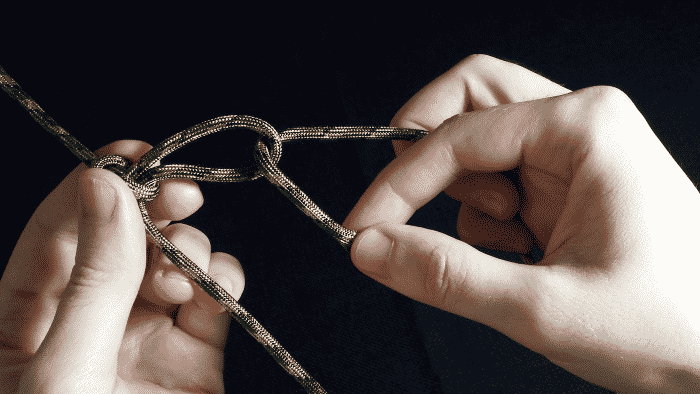 So let’s dig into 7 essential knots that you need to know. 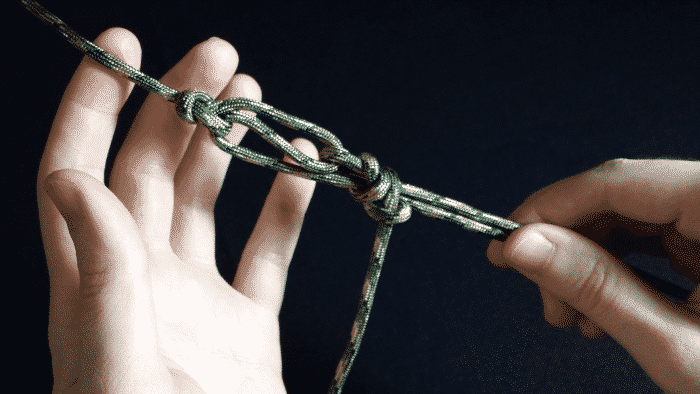 The two half hitches is one of the most basic knots that you can learn. It is simple, yet effective. The knot is perfect for tying a ridgeline to set up your tarp shelter. It is a general purpose knot that is great for tying cord to a tree or any object. If you only had one knot you could learn, then this would be your top pick because it’s easy to remember and very useful. 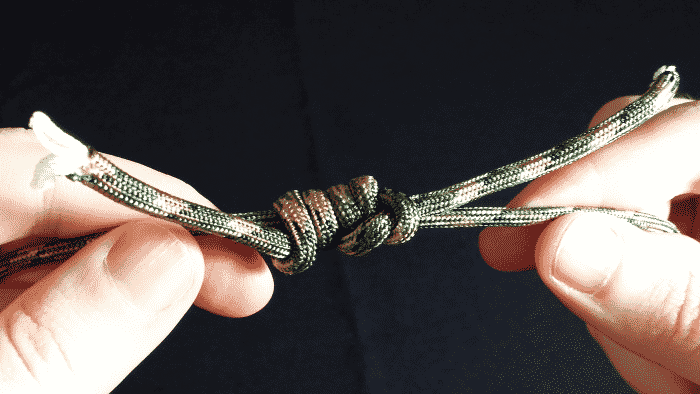 In fact, you are probably already using this knot even if you don’t know it. The fisherman’s knot is a great way to tie two pieces of cord together. 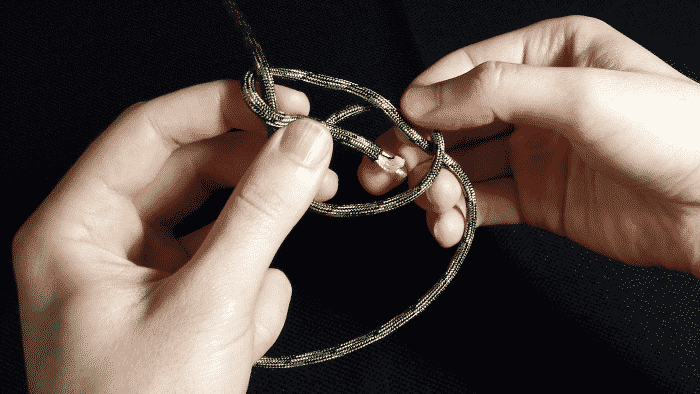 It’s pretty simple to tie because you basically tie the same knot twice with both pieces of cord coming together. That way when you pull them tight, the knot gets stronger. 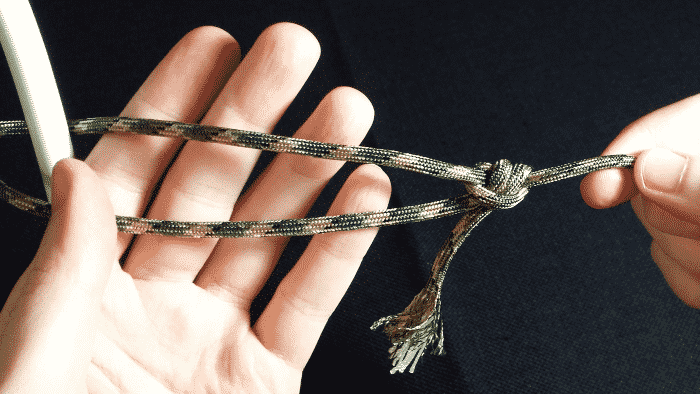 This knot comes in handy if you need longer cordage, so it can really save you in a pinch where either your line broke, or you need two separate pieces to give you more length. The Prusik knot is very handy for attaching another line to a ridgeline. 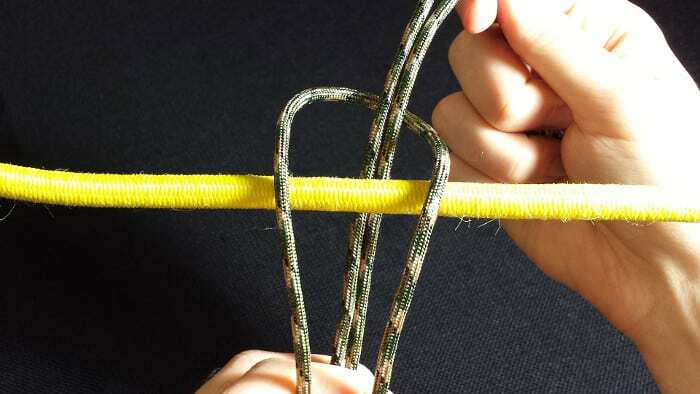 It is a popular knot among climbers, but it has many great applications for your camp. If you need to hang something from your ridgeline like a food bag or anything else to keep it off the ground, then this is a great knot to use. The knot is simple to tie where you lay a loop on top of your ridgeline and pull the rest of the cord through the bottom. Pull the cord through the loop from the bottom two more times and you have a really nice knot that can slide down the ridgeline easily or can be pulled tight to keep it from moving. The Trucker’s hitch knot is a great one to use to cinch down a load tight. For example, if you want a super tight ridgeline, you can use the two half hitches to tie the line to one tree, and the other end of the line can be tied to a second tree using this knot. It will allow you to get any desired tension you want on the line. 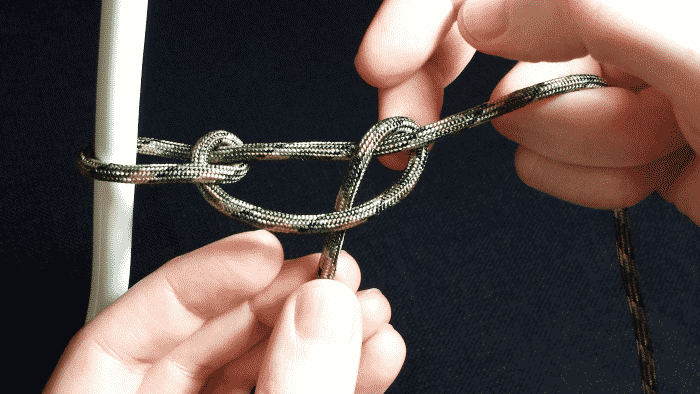 This knot gets its name because it is commonly used to tie down loads on vehicles. For example, a canoe on the top of a truck or car, or a load on a trailer. It’s often best to help secure this knot with a few half hitches to make it even more secure. This knot seems complicated, but it is simply two parts where you create a slip knot first, and then feed your line that is around your target end back through the slip knot loop. You can then pull the line tight since you have created a pulley system at this point, and then fasten it down with two half hitches. The clove hitch knot is similar to the two half hitches. It is also a general purpose knot and is great for tying a line to a stake or peg that you can pull your tent line’s tight. Another use is tying off a bag with it to close it up or tying the hood of your poncho closed. 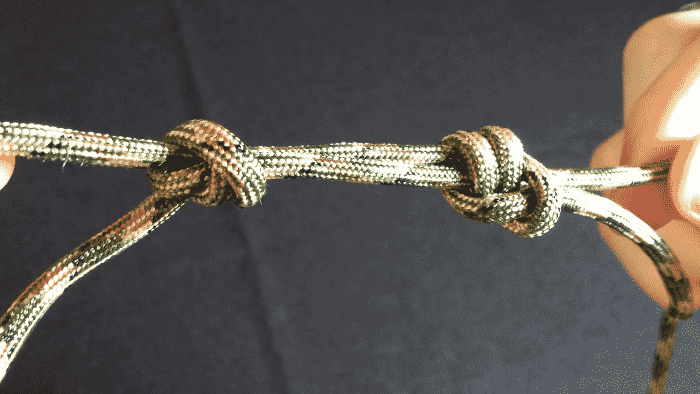 This is another extremely simple knot to learn that is very useful. 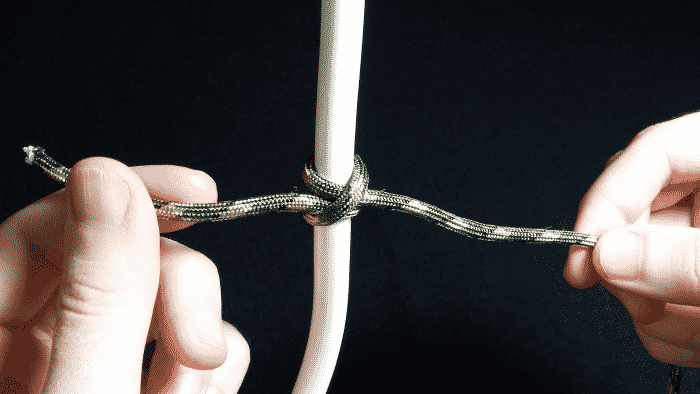 The bowline knot is a handy way to create a stable loop with cord. 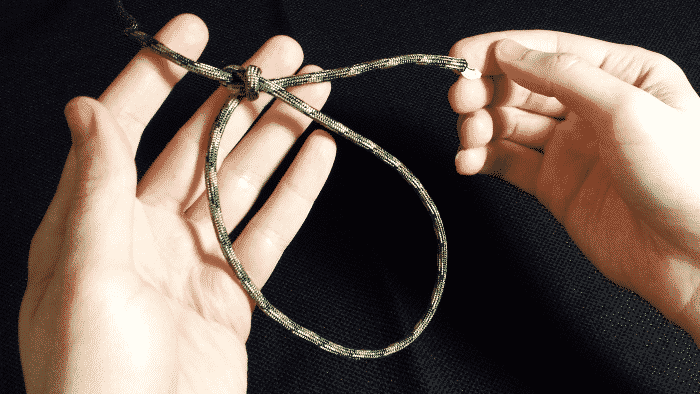 There are many uses for this including a lasso that you can throw out to someone in the water or even tying it around something that you need to pull up. It can be a great knot to tie around a bag and hang it high up in a tree to keep animals out of it. This is the well known “rabbit” story knot. Funny enough, chances are it might just be easier to remember how to tie the knot instead of the story itself. You’ll want to make sure your cord or rope is strong enough to handle the load so that it doesn’t break and cause injury. The taut line hitch is a knot that creates a loop and allows you to adjust the tension. 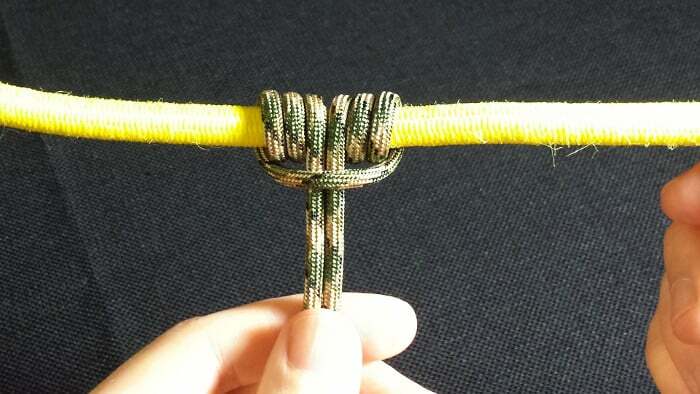 It’s another great knot for attaching tent lines to a tree or to a steak. It’s a very versatile knot, and some people also use it to tie down loads on vehicles as well. 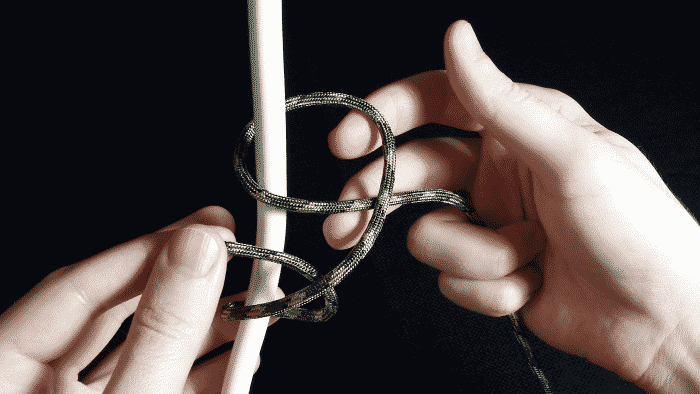 This knot seems complicated, but in fact it’s quite simple once you get the hang of it.